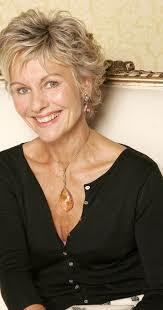 Diana Hardcastle is a British actress who has appeared largely in television roles. She appeared in episodes of Midsomer Murders, Inspector Lynley and Taggart. She played recurring roles in the series First Among Equals and Fortunes of War. In 2011, Hardcastle and actor Tom Wilkinson, her husband, portrayed real life husband and wife Joe and Rose Kennedy in the mini series The Kennedys. In 2012, she had a supporting role in the film The Best Exotic Marigold Hotel, in which her husband starred (their characters did not interact), and a returning role in the 2015 sequel The Second Best Exotic Marigold Hotel. Wilkinson and Hardcastle again played husband and wife in Good People (2014). Hardcastle is married to the actor Tom Wilkinson, with whom she has two children, Alice born in 1989 and Molly born in 1992. 1983 Reilly, Ace of Spies Anna Episode: "Anna"
1984 Charlie Ainsworth's secretary Episode: "Charlie Is My Darling"
1986 Screen Two Judith Walters Episode: "Frankie and Johnnie"
1992 Boon Kate Newsome Episode: "Message in a Bottle"
1996 The Tide of Life Rona Birch Episode: "No. 1.2"
1997 Midsomer Murders Barbara Lessiter Episode: "The Killings at Badger's Drift"
1997 Bugs Elaine Harman Episode: "Identity Crisis"
1999 The Bill Ruth Watts Episode: "Kiss Chase"
1999 Taggart Mariah Strange Episode: "Fearful Lightning"
2003 Holby City Pam Wilkinson Episode: "On the Inside"
2004 Rosemary & Thyme Crystal Episode: "The Gongoozlers"
2006 The Inspector Lynley Mysteries Deborah Proctor Episode: "Chinese Walls"
2008 Doctors Penny Healey-Henderson Episode: "Very Important Prisoner"
2010 Doctors Pam Phillips Episode: "Man in the Mirror"
2012 Doctors Wendy Barron Episode: "Reports of My Death"
2012 Holby City Faith Pearson Episode: "Eastern Promise"
2012 DCI Banks Defence Barrister Vizard Episode: "Innocent Graves: Part 1"
2013 Utopia CIA Woman Episode: "No. 1.2"